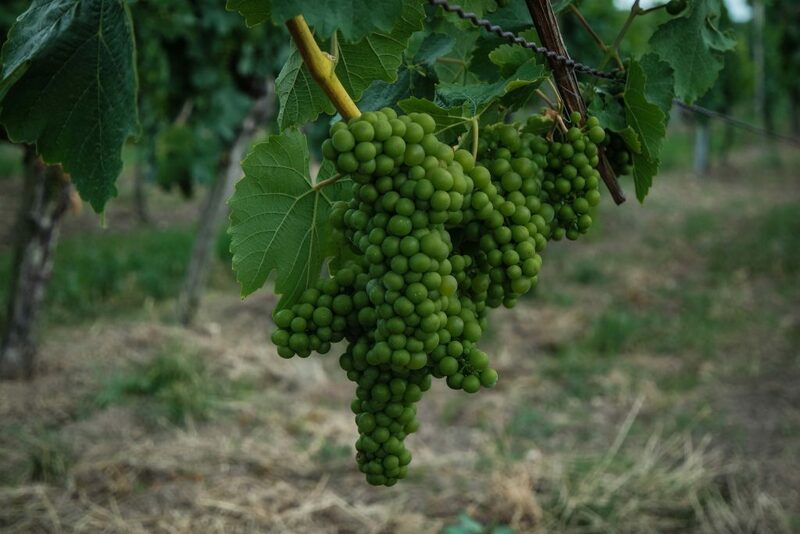 Of all the grapes of Germany, the most noble is the Riesling – a variety that can do well even in stony soil and can subsist on a minimum of moisture. It is also frost-resistant and a very dependable bearer of high quality grapes which have an acidity level that gives the wine a racy freshness and contributes to its long life. To reach its full potential, Riesling needs extra days of sun; ripening is very late, usually not until the latter half of October. Riesling produces elegant wines of rich character with an incomparable fragrance and taste, often reminiscent of peaches, or when young, apples. In 1996, the vineyard area planted with Riesling exceeded that of Müller-Thurgau, thus making it Germany’s premier grape variety in terms of area (ca. one fifth of all plantings). It is grown throughout German wine country.